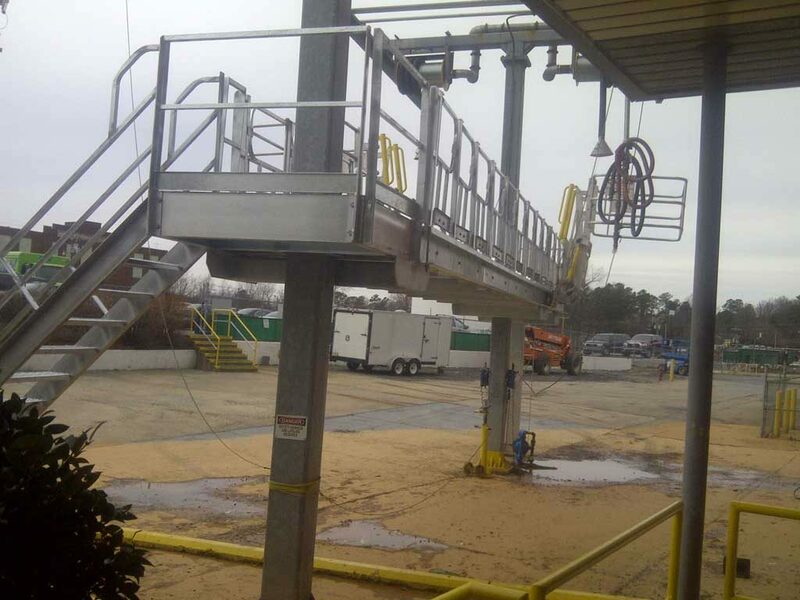 Flexible Lifeline Systems provides a full line of railcar and truck access platforms, gangways, and canopies, from single access platforms to multi-station loading systems. 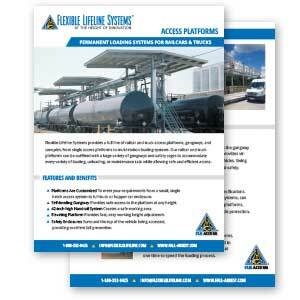 FLS single hatch railcar platforms accommodate a variety of loading and unloading tasks while allowing safe and efficient railcar access. 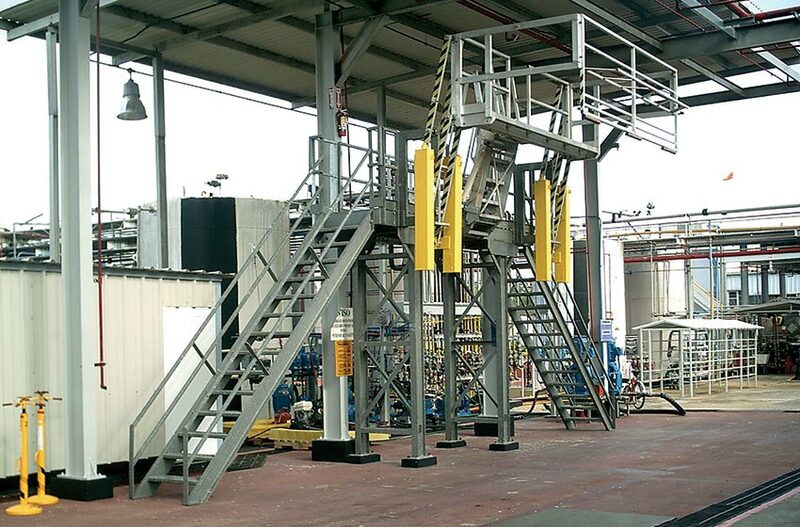 These racks are compatible with loading arms and can be configured with a variety of options to meet your bulk loading requirements. 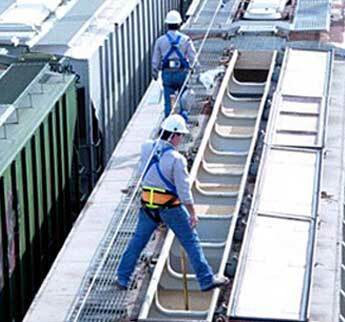 All gangways feature adjustable counter balanced springs to help raise and lower units with minimal effort. 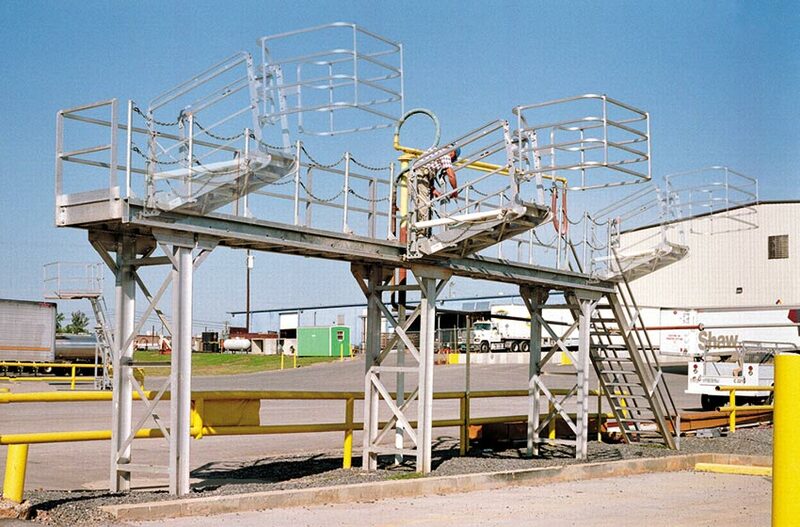 Optional pneumatic packages to raise and lower the loading ramp are available as well. 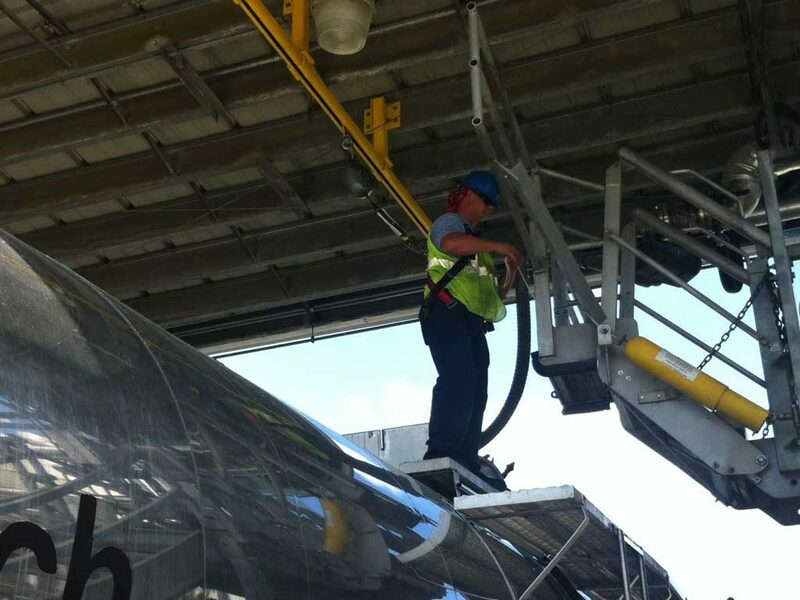 Flexible teams up with the best in the industry to offer you tank truck handrail elevating systems. 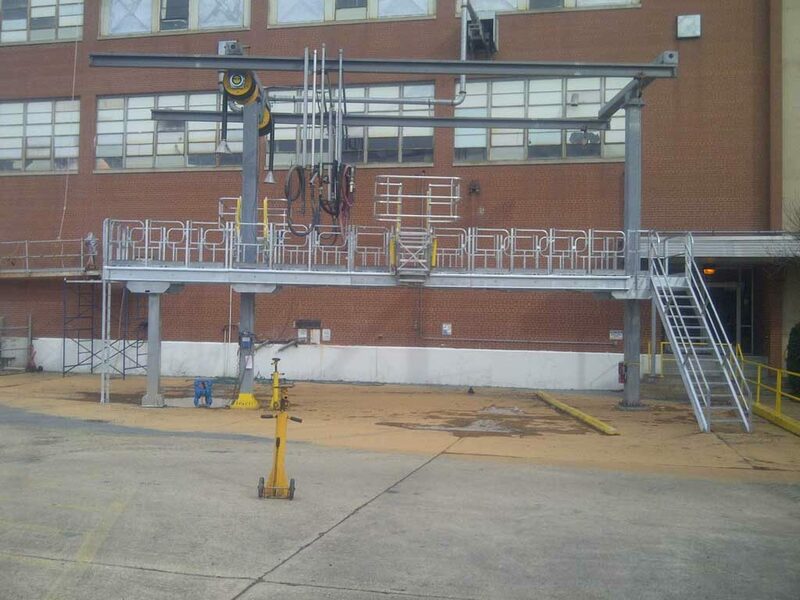 The Quadspan is a self-supporting traveling platform system housed within four column steel structure. 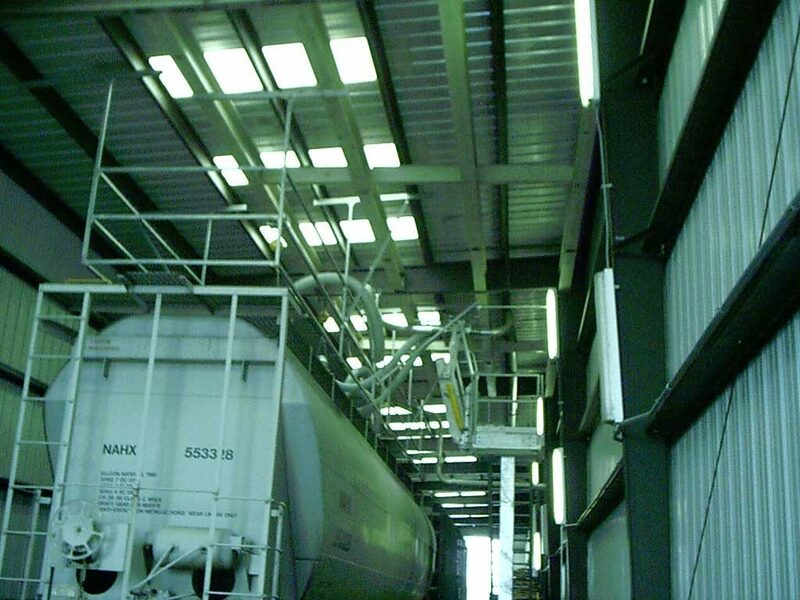 The steel columns serve as structural supports as well as an integral, anti-sway guide system for the traveling platform. 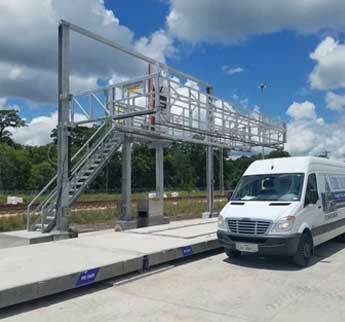 The Quadspan is versatile and can be constructed in multiples to accommodate several vehicles at one time to speed the loading process. 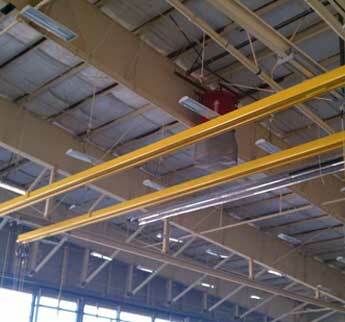 The Quadspan is the industry flagship design. 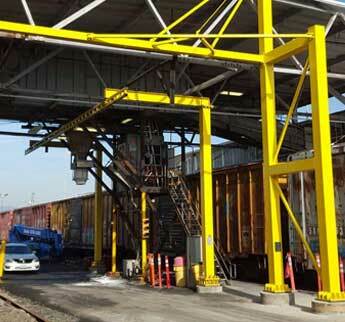 Through engineering ingenuity it provides the solution to complex loading problems. 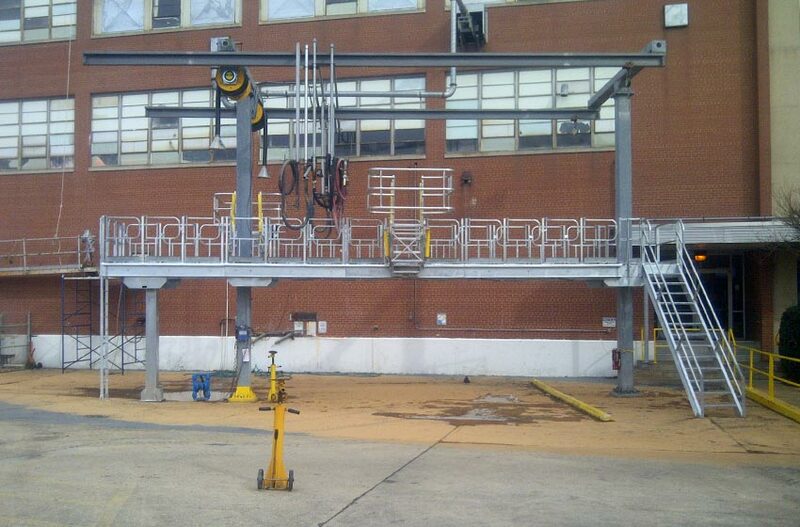 The Duospan is a compact cantilever traveling platform system utilizing two structural steep support and guide columns. 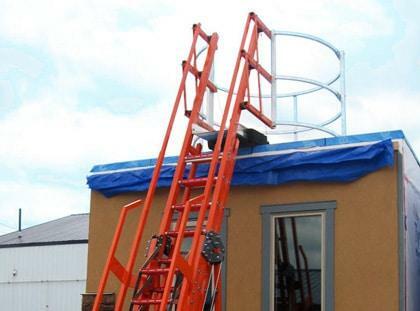 The Duospan is ideally suited for retrofit applications or where space conditions or traffic access may be restricted. 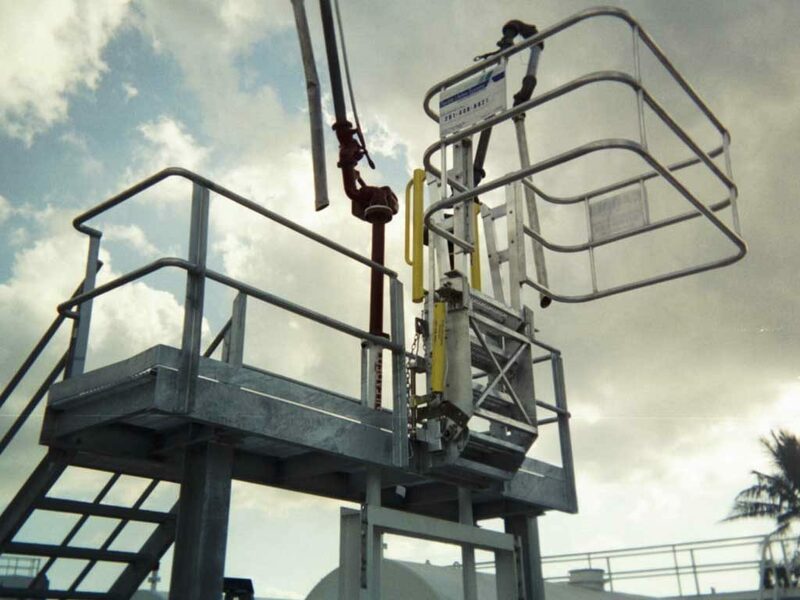 The Duospan is the answer to tough confined areas and modernization of existing loading facilities. 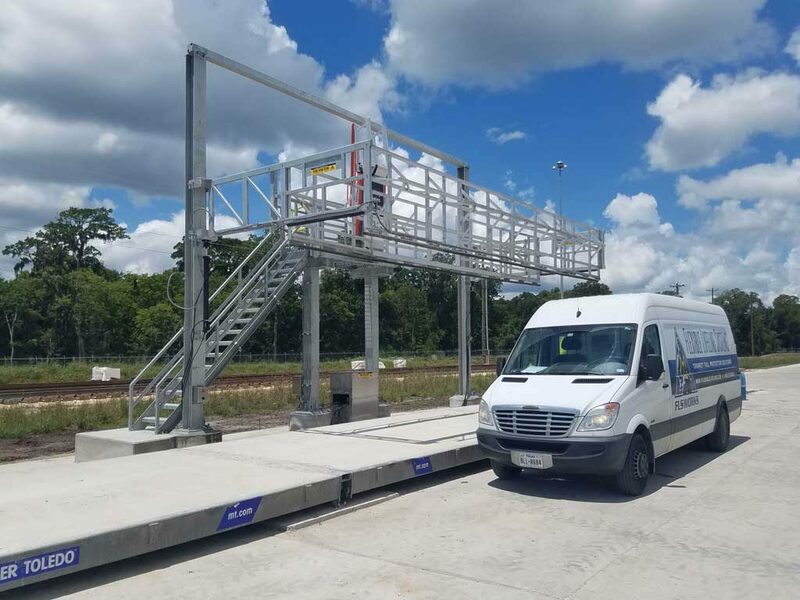 When you specify a Quadspan or Duospan loading and inspection platform, you are not limited to pre-determined widths and lengths. 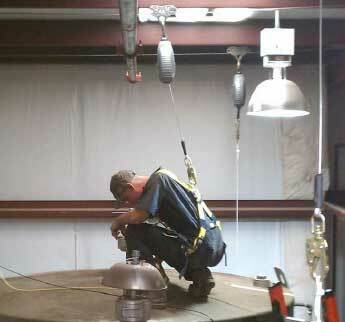 These units fit the application by any measure!